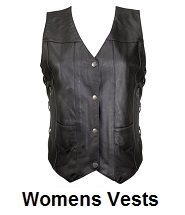 Biker vests on sale, save on mens and womens leather biker vests. 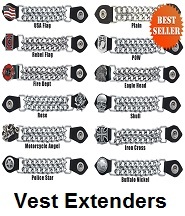 Low prices and free shipping on leather biker vests, Motorcycle Gear Superstore. 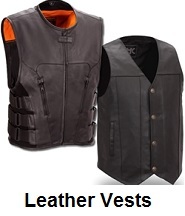 Largest selection of men's and women's leather motorcycle riding vests, at the lowest prices available. 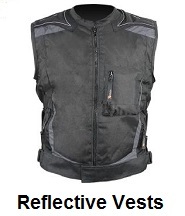 Bikers can add some style to their motorcycle riding outfit by wearing a leather vest. Most bikers wear a leather vest that represents their own personal beliefs, or a group that they belong to. Shop and save on leather biker vests. 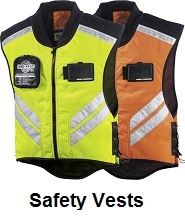 Largest selection of motorcycle riding vests for bikers. You can find the best deals on leather biker vests, when you shop with us. Add some style to your biker outfit by wearing a leather vest. 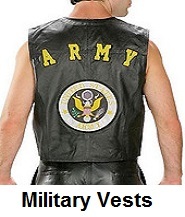 Most bikers choose a leather vest based on a certain organization they represent, or to support a cause. 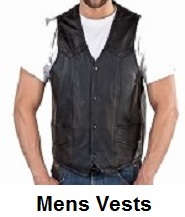 Some bikers will choose a leather vest based on their beliefs or club they belong to. 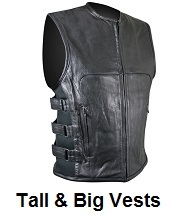 We have the largest selection of biker vests for any riding occasion and our prices can't be beat. How to select the right biker leather vest for motorcycle riding. The main consideration for bikers, when selecting a leather vest for motorcycle riding, should be the weather conditions. Most biker leather vests will help keep a rider cool on hot summer days, but will not keep you warm on cooler days. Some biker leather vests are insulated for this purpose. When selecting a leather vest, be sure to take the weather into consideration. All our leather biker vests, come with a 30 day unconditional return policy. 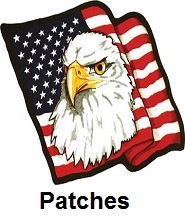 Just return any leather biker vest, within 30 days and we will grant a full refund. Thank you for shopping with us, we appreciate your purchase of a leather biker vest.